Young Eagle exits a Piper Stinson with pilot Doug following her flight. 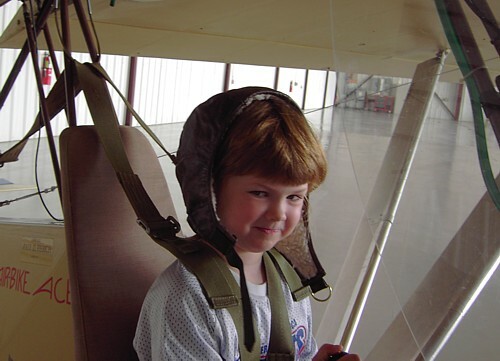 A fundamental tenant of the Experimental Aircraft Association is education. The word is interpreted to mean both for the aviator and to enlighten others about aviation. 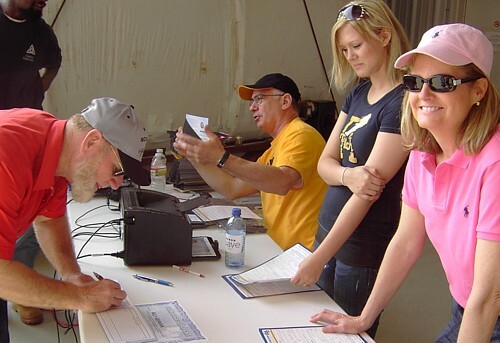 EAA chapter 88 of Wichita, Kansas held its second annual Mueller Elementary Aviation Day at Jabara Airport (AAO) April 9, 2011. Mueller Elementary is designated as an Aerospace and Engineering Discovery Magnet school. 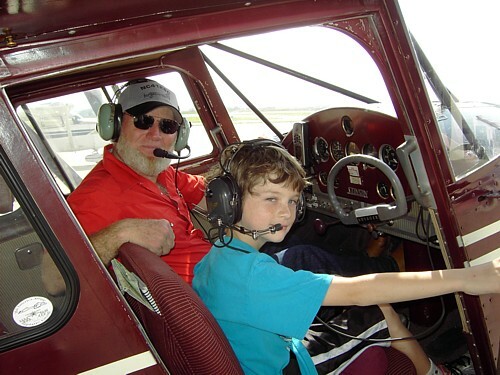 Essentially all their classes have some aspect of aviation incorporated into their curriculum. 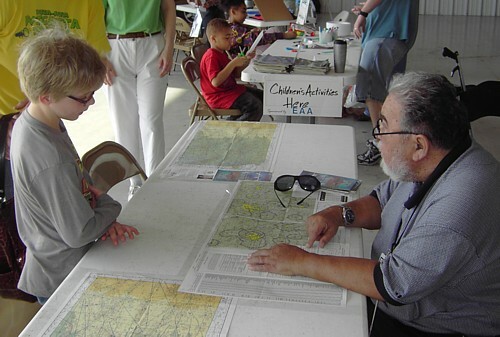 Our EAA chapter, via Education Chairman Ron Blum, coordinated with the school to provide them with an aviation day. 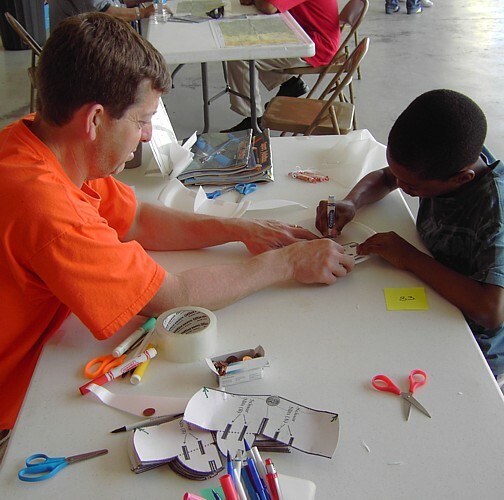 Prior to the day’s activities, students participated in a ground school (taught by chapter members) within their classrooms during which they learned what makes an airplane fly. This set the stage for a hands-on half-day’s activities all students participated in. Those age eight and older took a twenty-minute Young Eagles flight. Jabara Airport provided hangar space from which our activities were generated. 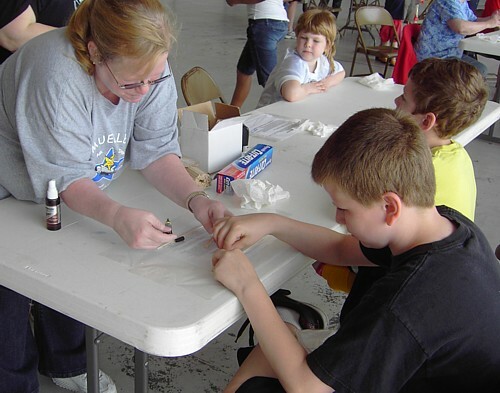 About 100 elementary school students (age six through ten) participated in a variety of “booth type” aviation related activities. 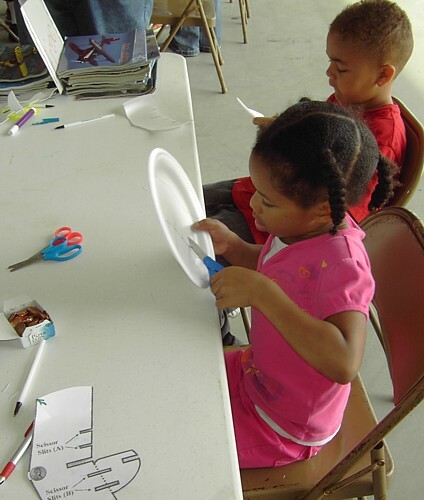 Those were: building their own wing rib, making a working parachute, creating a fold-up helicopter, reading a navigation chart, manipulating the controls of an airplane (AirBike), making a glider from a styrofoam plate and a flight in a real airplane. 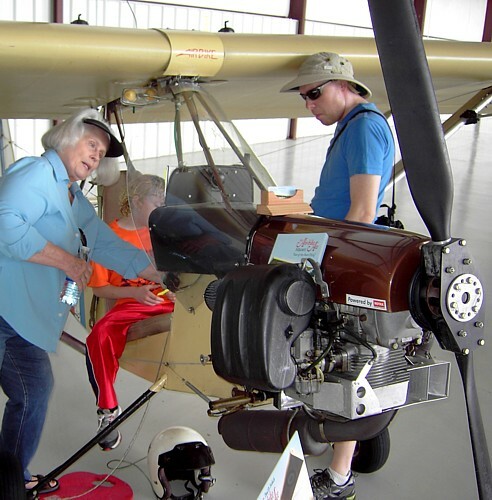 Chapter 88 members donated their airplanes, time and fuel for four hours taking over fifty children (and some adults) for a plane ride around the Jabara airport area. 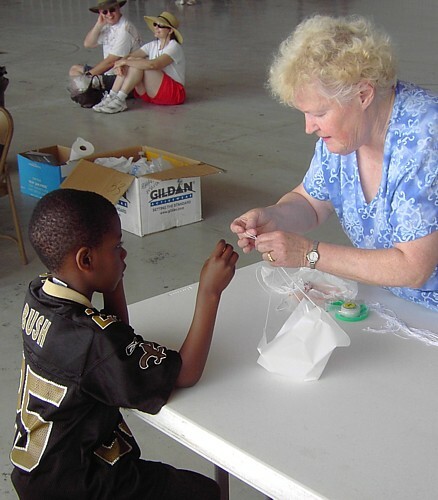 The various experiences enhanced the ongoing programs at Mueller Elementary. Nice job! 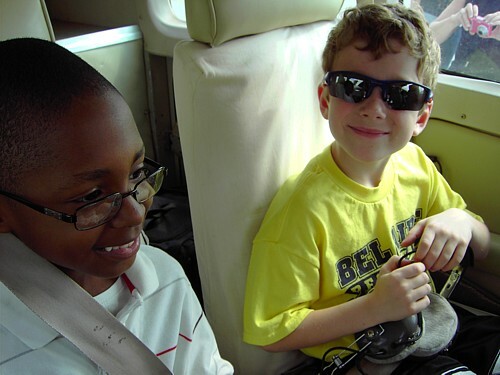 It looks like you guys had a lot of happy young aviators.